The White-backed Vulture is a typical vulture, with only down feathers on the head and neck, very broad wings and short tail feathers. It has a white neck ruff. The adult’s whitish back contrasts with the otherwise dark plumage. Juveniles are largely dark. 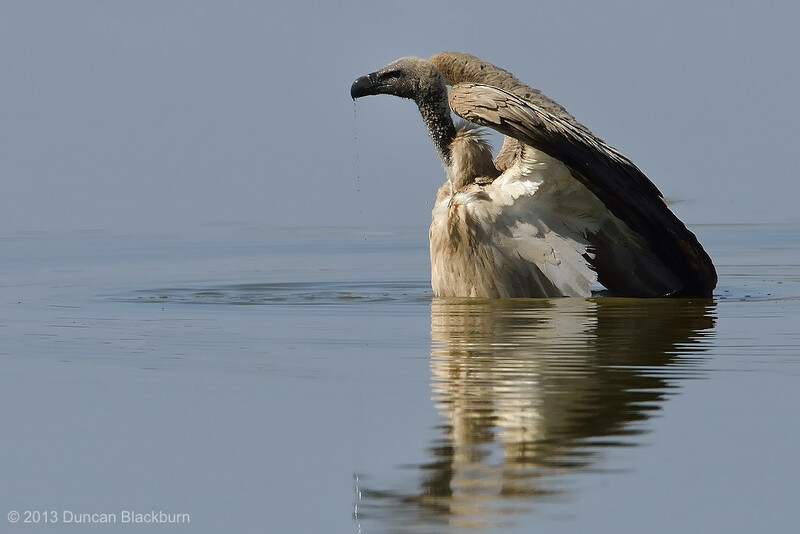 This is a medium-sized vulture; its body mass is 4.2 to 7.2 kilograms (9.3–16 lb), it is 78 to 98 cm (31 to 39 in) long and has a 1.96 to 2.25 m (6 to 7 ft) wingspan. Like other vultures it is a scavenger, feeding mostly from carcasses of animals which it finds by soaring over savannah. It also takes scraps from human habitations. It often moves in flocks. It breeds in trees on the savannah of west and east Africa, laying one egg. The population is mostly resident. As it is rarer than previously believed, its conservation status was reassessed from Least Concern to Near Threatened in the 2007 IUCN Red List. In 2012 it was further uplisted to Endangered. This image was captured at the Klein Namutoni water-hole, close to the Namutoni rest-camp, Etosha National Park, Namibia. 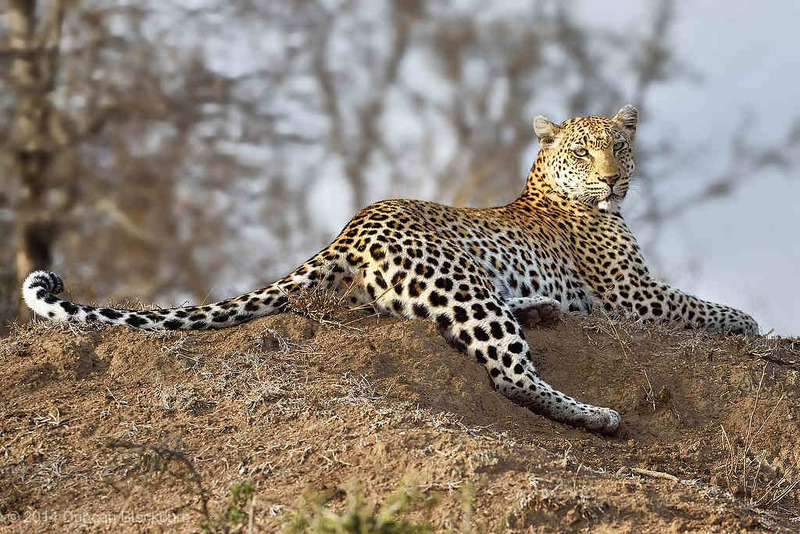 The leopard is a member of the Felidae family with a wide range in some parts of sub-Saharan Africa, West Asia, the Middle East, South and Southeast Asia to Siberia. It is listed as Near Threatened on the IUCN Red List because it is declining in large parts of its range due to habitat loss and fragmentation, and hunting for trade and pest control. On an early morning game drive we encountered this beautiful female leopard enjoying the warmth of the morning sun. She had made herself comfortable on the top of an old termite mound, and was quite unperturbed by the presence of our vehicle or by the the clicking of our camera shutters! 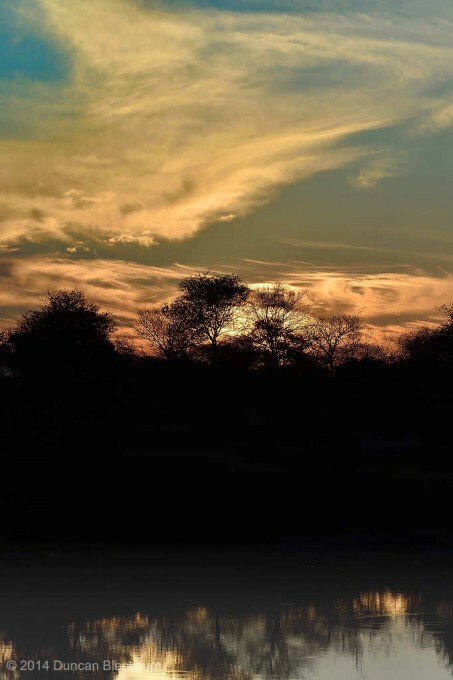 This image was captured in the Timbavati Private Game Reserve, adjacent to the Kruger National Park, South Africa. One of the most productive birding sites in the Kruger National Park is the bird hide at Lake Panic, situated close to the Skukuza Rest Camp. A visit to the hide will nearly always be fruitful for birders and photographers alike. The photographers are, almost without exception, treated to the most wonderful fly-pasts of the Herons, providing excellent bird-in-flight opportunities. The black-headed heron is a wading bird of the heron family Ardeidae, common throughout much of sub-Saharan Africa and Madagascar. 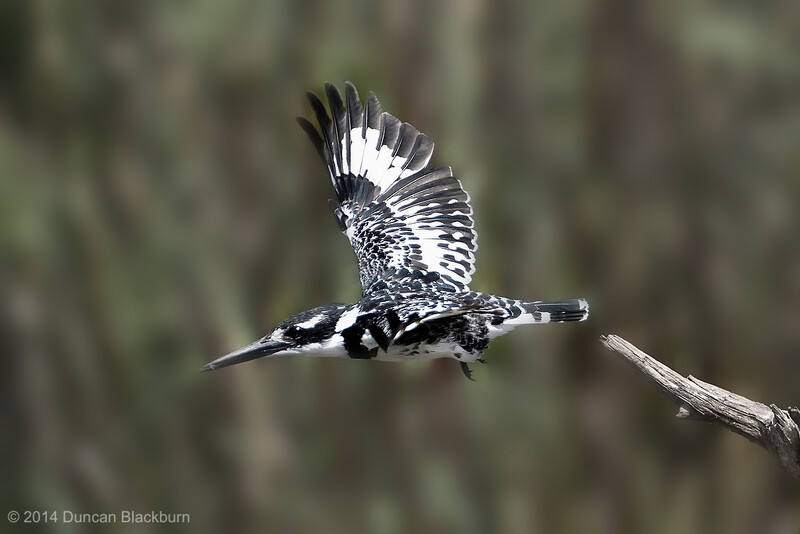 It is mainly resident, but some west African birds move further north in the rainy season. This species usually breeds in the wet season in colonies in trees, reedbeds or cliffs. It builds a bulky stick nest, and lays 2–4 eggs. It often feeds in shallow water, spearing fish or frogs with its long, sharp bill. It will also hunt well away from water, taking large insects, small mammals, and birds. It will wait motionless for its prey, or slowly stalk its victim. The black-headed heron is a large bird, standing 85 cm tall, and it has a 150 cm wingspan. 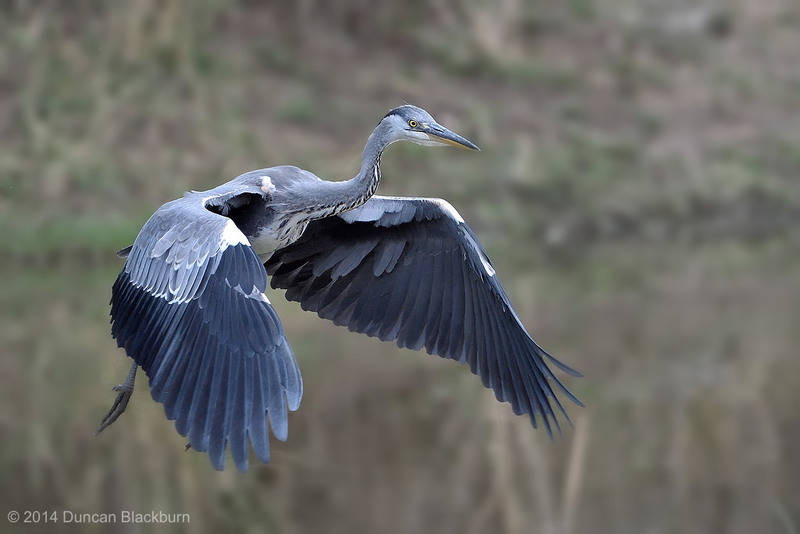 It is nearly as large as the grey heron, which it resembles in appearance, although it is generally darker. Its plumage is largely grey above, and paler grey below. It has a powerful dusky bill. The flight is slow, with the neck retracted. This is characteristic of herons and bitterns, and distinguishes them from storks, cranes, and spoonbills, which extend their necks. The white underwing coverts are striking in flight. This image was captured at Lake Panic, Kruger National Park, South Africa. 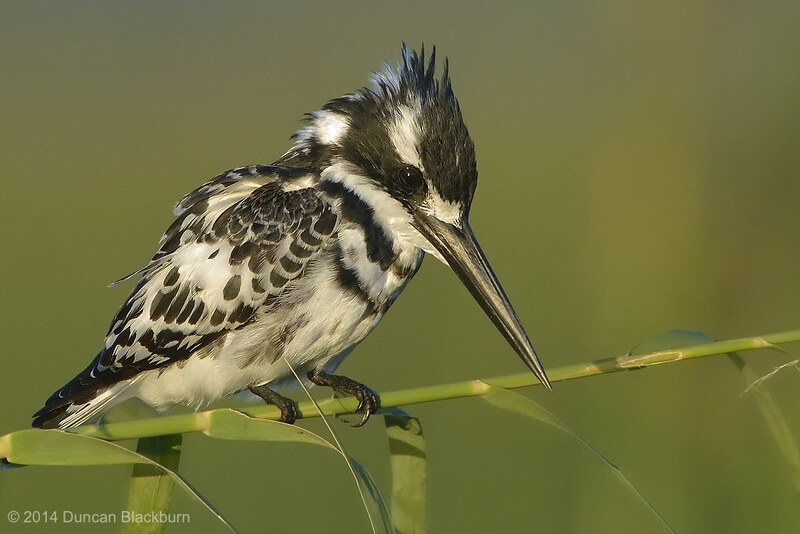 The pied kingfisher is a water kingfisher and is found widely distributed across Africa and Asia. Its black and white plumage, crest and the habit of hovering over clear lakes and rivers before diving for fish makes it distinctive. Males have a double band across the breast while females have a single gorget that is often broken in the middle. They are usually found in pairs or small family parties. When perched, they often bob their head and flick up their tail. This male is depicted here at life-size! These little guys are fun to photograph in the sense that they are very fast moving and unpredicatable; but on the other hand their black/white contrast is often difficult to capture without loss of detail. 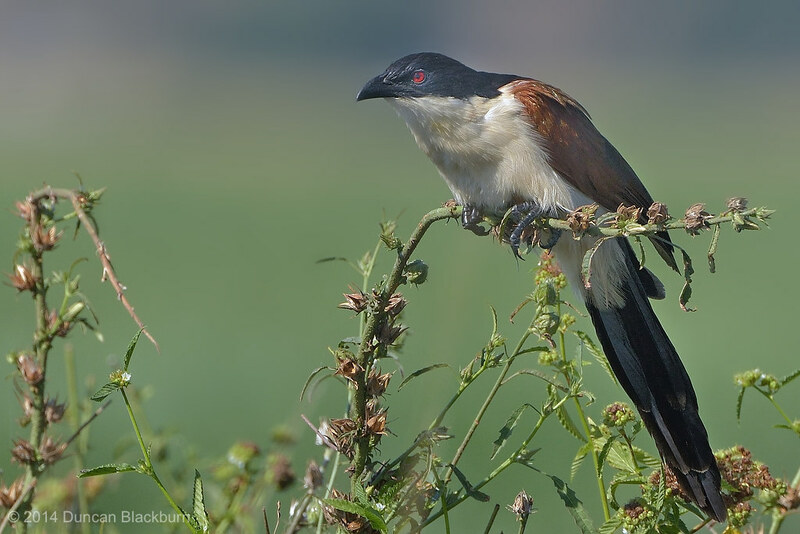 The coppery-tailed coucal is a species of cuckoo in the Cuculidae family. It is native to parts of south central Africa. Its range stretches from Angola in the west to south-western Tanzania, northern Botswana and the Caprivi Strip in Namibia. Its typical habitat is swampland and dense vegetation near rivers, but it is also found on inundated floodplains and near seasonal lakes. The total size of its range is around 1,750,000 square kilometres (680,000 sq mi). This image was captured at Lake Panic, near the Skukuza Rest Camp, Kruger National Park, South Africa.